Could anyone tell me the a good scope that will hold up to the 450 bushmaster recoil. Hello! Just about any good quality scope will withstand the recoil, it's really not that bad. I have a redfield revolution 2-7 with the accu range for hunting, it has been working out good. For load testing I use a Nikon buckmaster 6-18. Nikko Sterlings are being used, burris, leupold, zeiss, Nikon's as well. I'm site others will chime in as well. What is your intended purpose for your Thumper? That may help you make a decision add to what scope to go with. I have a Leupold on mine. Like Kottke mentioned above, most quality scopes should do just fine. I run a Nikon Monarch 6-24x50 when working up loads, which is 99% of the ~2k 450b shots fired so far and it has held up just fine. During deer hunting, I use an older 3-12x52 30mm Tasco Euro Class and it has held up to the recoil as well. Still think the Burris MTAC is a great buy with tons of features plus being a well built scope and a lifetime warranty. I have 6 of them! My .450BM is wearing the 1.5-6. The muzzleloader scopes give a little extra eye relief. I put the Leupold Ultimateslam on mine and love it. I've been running Nikko Stirling on mine with zero problems. They are a tough scope and you can get the 30mm tube. Texas Sheepdawg wrote: I've been running Nikko Stirling on mine with zero problems. They are a tough scope and you can get the 30mm tube. 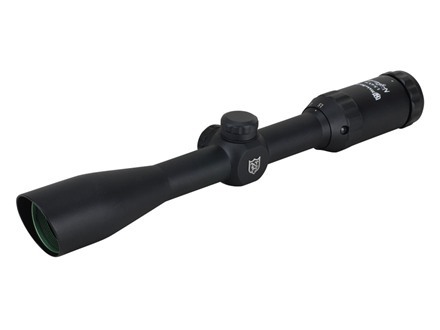 You have been using the Nikko Stirling 1" Platinum Nighteater Rifle Scope 1.5-6x 36mm, correct? This one? I recall that Wildcatter spoke highly of it on the forum 2-3 years ago. I've heard the Australians mount it on their 'roo rifles? Hard to beat the price except with really poor quality stuff. I'm using a Bushnell Banner Dusk&Dawn 3-9X40MM scope and I'm very happy with it.Holds zero well and optics are clear. I like the illuminated reticle for early and late times when hunting.